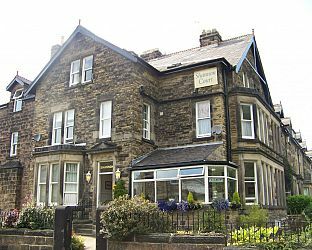 Visit Harrogate North Yorkshire and the surrounding villages and stay in bed breakfast, hotel or holiday apartment accommodation provided by BedPosts members. Harrogate in North Yorkshire is a spa town and popular tourist destination. The spa water and the nearby Yorkshire Dales National Park are big attractions for visitors. The properties of the waters were discovered in the 16th century when a traveller noticed their resemblance to those of continental spas. In all there are 88 springs of sulphur and iron, and the Royal Baths. The Royal Pump Room, over the main sulphur spring, is now a museum. This spa town is now also well known as a conference centre. Dignified Victorian architecture, banks of flowers and well-planned open spaces characterise the town, with 200 acres of grassland, called The Stray, probing into its very centre. Beyond the fine Valley Gardens are extensive pinewoods, laced with paths. Harlow Car Gardens, home of the Northern Horticultural Society and an outstanding centre for experimental gardening, are about a mile west of the town centre. From the escarpment of Birk Crag, just north of Harlow Car, broad views sweep west to the Dales. From the Harlow Hill observatory tower you can view this spacious town of hotels, fine houses and impressive gardens, as well as catching glimpses of the Tees and Humber, York and Ripon. 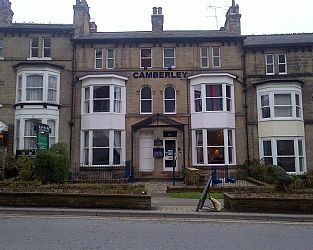 If you seek accommodation near Harrogate in North Yorkshire you have come to the website of a “club” of providers who offer affordable quality accommodation around UK in hotels, bed and breakfasts, guesthouses, inns, and restaurants plus self-catering cottages and apartments .